TR Building and Remodeling, Inc. is an award-winning design-build firm in New Canaan specializing in residential renovations and new construction in lower Fairfield County, CT. Distinctive architectural design supported by professional, intelligent and comprehensive service is Doyle Coffin Architecture’s core business focus since 1973. For over 25 years Colin Healy Design has been helping clients design homes and renovations that fit their evolving interests and passions today while anticipating their future needs. Michael LoBuglio Architects, located in Newtown, CT, is an energetic and dynamic architectural firm that balances modern design principles with traditional and classical designs. Kraig’s passion for craft has led him to pursue multiple disciplines in addition to architecture; these include carpentry, masonry, stained glass craftsmanship, photography, art, music, and writing. Huestis Tucker Architects, LLC, is a full service firm specializing in custom residential, commercial, and corporate architecture and interior design. The firm was founded in 1998 by Jennifer Huestis and Bob Tucker, a husband and wife team. Together with their staff of experienced and talented designers, Bob and Jennifer create thoughtful, high quality, timeless designs which express their clients’ sensibilities and embody their dreams while enhancing their quality of life. The principals work closely and collaboratively with every client throughout the entire process from initial sketches to final punchlist, to create buildings and interiors of timeless beauty and state of the art functionality. They approach each project with an eye towards aesthetics, an attention to detail, a wealth of knowledge of the building process, and an in depth understanding of high quality sustainable materials, methods of construction, and modern energy efficiency technologies. Architectural firm practicing since 1990, specializing in all aspects of residential design. Our work ranges from custom homes, additions & whole house remodels, all done in a wide range of styles. Vita Design Group draws on its members’ individual expertise and vision to foster an atmosphere rich with new and progressive ideas. Harnessing this collaborative dynamic, they form a common lens focused on generating clear and harmonious design solutions as unique as the clients who commission them. As conscientious stewards of our environment, their objective is to leave a lighter footprint on the land through conservation of resources and materials, with an emphasis on energy efficiency. They believe that architecture is an art form that defines a time and place, providing an opportunity for exploration in design, while reflecting and enriching the way we live and work. Cole Harris Associates is recognized as a diverse group of professionals dedicated to a high level of design and service. 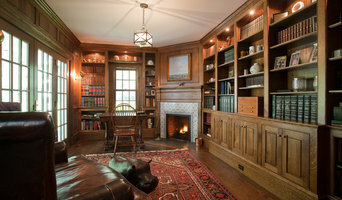 Located in Westport CT, the firm executes projects throughout the United States and abroad. Generalists in a world of specialists, Cole Harris Associates is positioned to assist mid-market and high-end clients in realizing residential and commercial direction for large-scale development projects, and offers a broad range of services commonly not found in most design firms. Whether one is developing a chair, house, school or urban center, the design process is an intensive procedure involving many disciplines. Cole Harris Associates covers every aspect of design development, from conception through contract administration and construction. Cole Harris Associates is also recognized by the Connecticut Chapter of AIA for its commitment to sustainable design. Within every design process there is a myriad of choices to be made. The more deliberate and thoroughly these are addressed, the greater the chance of realizing a meaningful solution. The Cole Harris Associates design process identifies and analyzes how local history, climate, site, environment, and local architectural traditions and construction methods can inform a project. At Cole Harris Associates, programmatic necessities, project management and budget parameters are managed with equal consideration. Since the establishment of Wadia Associates more than 30 years ago, Dinyar Wadia and his dedicated team of designers have earned a reputation for designing and building high-end homes, gardens and interiors. Over the years they have helped sculpt the local environment to become an important regional proponent of Classicism. Their skillful design sensibilities have provided a seamless fit of their traditionally-styled homes into the eclectic fit of Fairfield County. Although avowed New Classicists, Wadia Associates have a pluralistic approach to traditional design that is not rooted in a slavish imitation of the past. More appropriately, it is based upon reinterpreting the past and updating it for the present. And while all of their designs feature the classic proportions and exquisite details of houses of a bygone age, the firm is still able to incorporate all amenities and needs of a modern American family. As Dinyar is fond of saying, "It's traditional architecture for the modern world." Rob Sanders AIA specializes in preserving, restoring, and adapting 18th, 19th, and 20th century buildings for discerning clients. At our four-member firm Rob Sanders Architects LLC, renovations, additions, new houses, and vacation homes are all treated with the same thoughtful approach, with the beauty that comes from correct proportions and scale, appropriate materials, quality of light, and careful siting. The firm’s work has been twice honored by the Connecticut Trust for Historic Preservation for it’s adaptive reuse designs, and has been featured in numerous publications. Rob Sanders projects are located in Connecticut, New York, Massachusetts, and Maine. The firm is located in a renovated Victorian barn in Wilton, CT.
David sees every project as an opportunity to redefine convention and contribute to the evolution of architecture - whether it’s juxtaposing old with modern, or subtly integrating high-performance materials into classic design. He particularly enjoys working on residential projects, honored to be a partner in the intimate dialogue of creating a space that reflects and enhances the life of each client. DM A+D is an architecture and design practice specializing in custom residential design. Before establishing DM A+D David spent the last two years working in the Fairfield county area designing custom homes and light commercial projects. Previously, David spent nine years with Selldorf Architects working on projects ranging from penthouse apartments and townhome renovations to custom homes and large scale commercial projects. As a senior project architect he worked on the David Zwirner Gallery, a 25,000sf cast in place concrete art gallery in Chelsea. David is LEED accredited (Leadership in Energy & Environmental Design) and a licensed architect in the state of New York and holds a degree from the Syracuse University School of Architecture. David lives in Ridgefield CT with his wife and two sons. If you’re interested in building a beautiful new home but are on a budget, this is the place to start. Our extensive catalog of stock-custom models provides world class architecture at a fraction of the price. Work with our architects to transform any one of our stock-custom plans into a home perfect for your family. New Homes from $350,000 to 10 Million. Whole Home Renovations from $150,000 to 5 Million. Historical Renovations from $250,000 to 5 Million. Kitchen from $75,000 to $350,000. Room additions from $50,000 to $500,000. Estimates based on experience. Your actual costs may vary depending on the scope of your project. For those with a unique vision, we can help create your dream home. Designed to perfectly complement your property, aesthetic taste and lifestyle… your exclusive home will be even more extraordinary than you could have imagined. Douglas Cutler Architects are nationally recognized for elevating modular construction to an art, producing results which offer superior design and quality. Contact us for a consultation about your project.